We are experts in facilities management, building services and process engineering. Founder and Managing Director of ARH Group. A time served Electrician who worked started working in 1973 at a local electrical company, developing from an apprentice to an experienced project manager. This experience and background gave Tony an insight and vision on how he could deliver a better service. 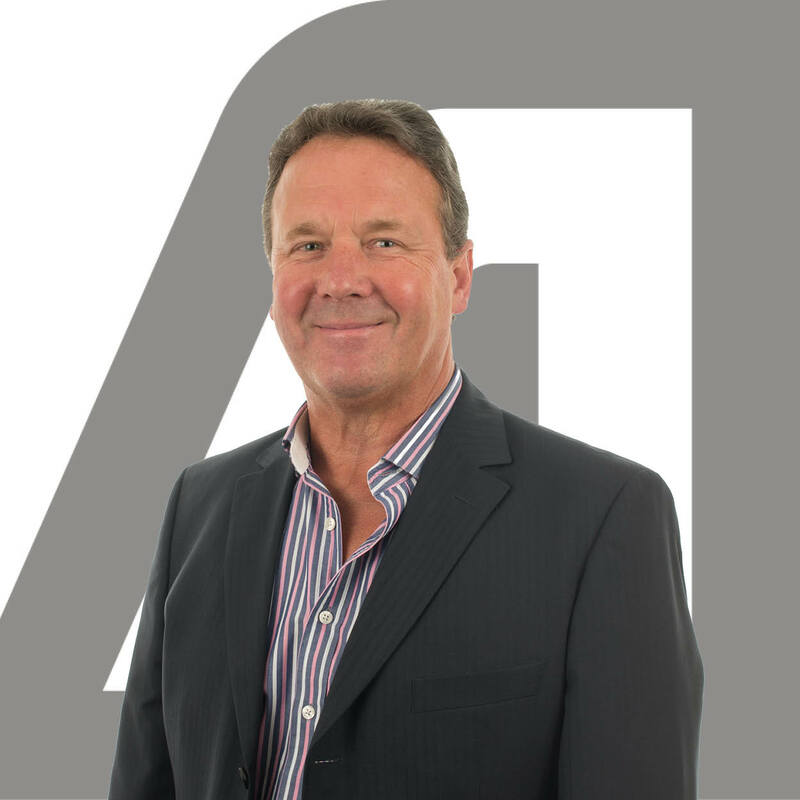 Tony founded the company in 1990 with the aim of providing reliable installation services for the process industry. He has steered the company over the past 28 years building on its strengths and forging long lasting customer relationships. The focus and drive originating from Tony produces a professional approach and pride in the work carried out by all employees. The reputation and client perception of ARH has been and continues to be a powerful marketing tool that has served Tony well to date. Tony’s background in the process industry has engrained high standards and quality workmanship, following though into all ventures and developments with-in the company. Project management experience and keen business sense is fundamental to the logical and successful approach to business at ARH. His ability to identify markets and diversify to meet the needs of his clients has seen ARH continue to grow in recent years as the general economy remains stagnant. 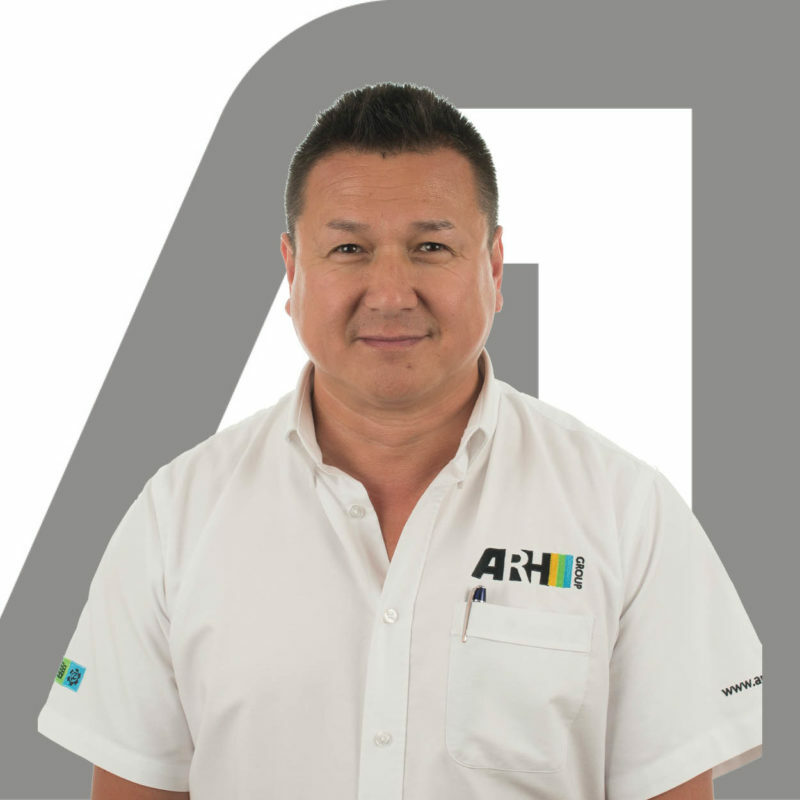 By using key members of existing staff, drawing on their key attributes and recruiting specialist people with the knowledge and background to strengthen the team at ARH, Tony has maintained the reliability of service provision as the company has entered new markets and disciplines. It is a result of his personal passion for the business and regular contact with all clients that ARH retains Tony’s original vision of a better service for clients. 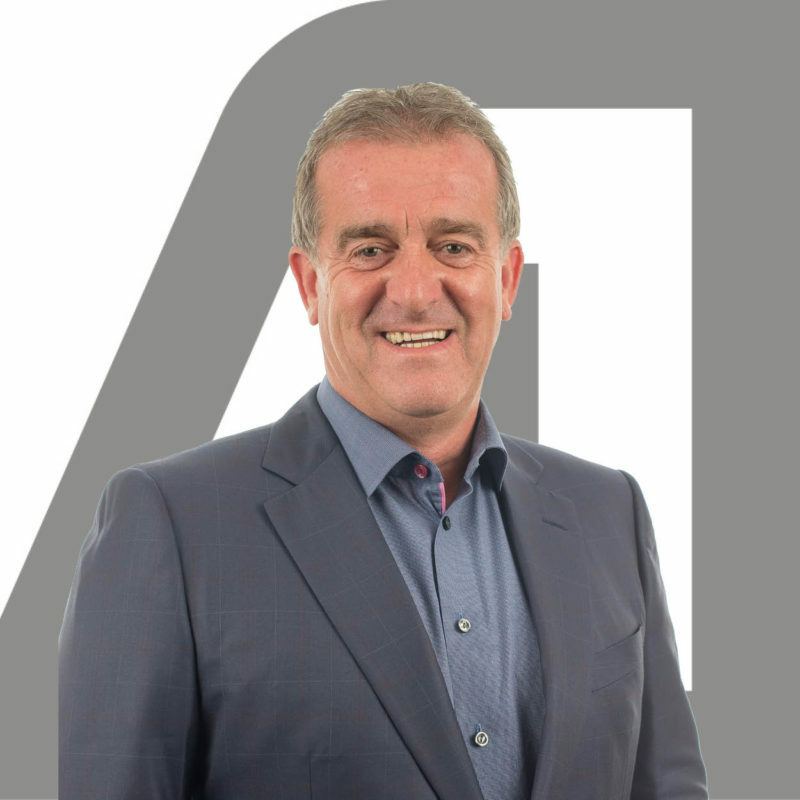 Mark joined ARH in 1994 as Finance Director, and brought his business knowledge and expertise to the table to help organise and develop business prowess and bring more formal control to ARH. Previously running several successful companies Mark has proven his ability to run and grow successful companies in varying markets and situations. Maintaining control of the financial situation of ARH Mark has been key to the strong and solvent position ARH has retained in recent years. Managing the financial growth of ARH has provided many challenges to ensure the rapid growth is sustainable and secure. 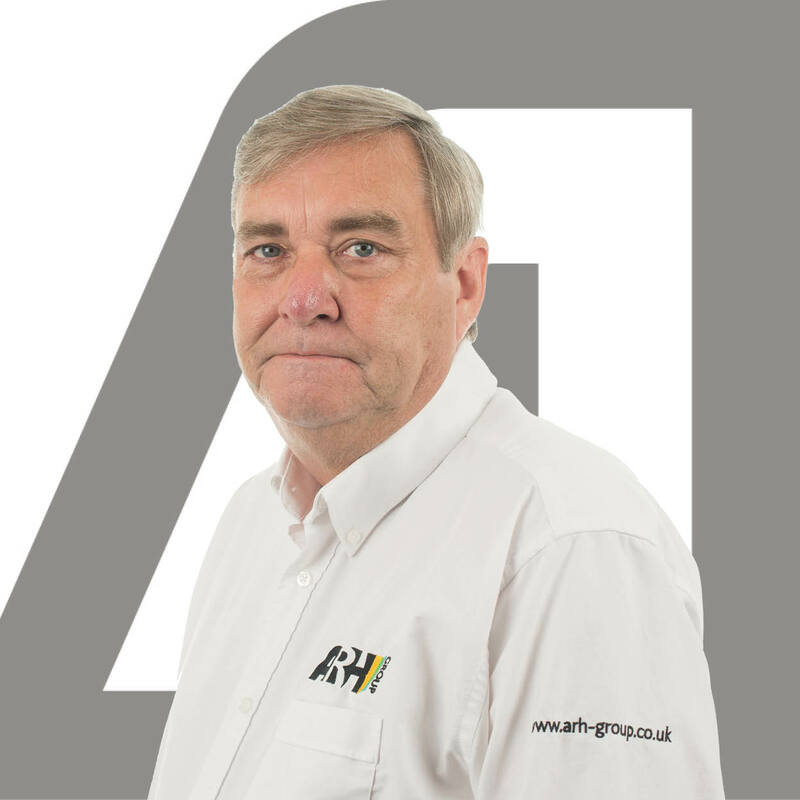 Successfully managed, ARH Group continues to grow and Mark is instrumental in monitoring and maintaining the company resource logistics across all departments. 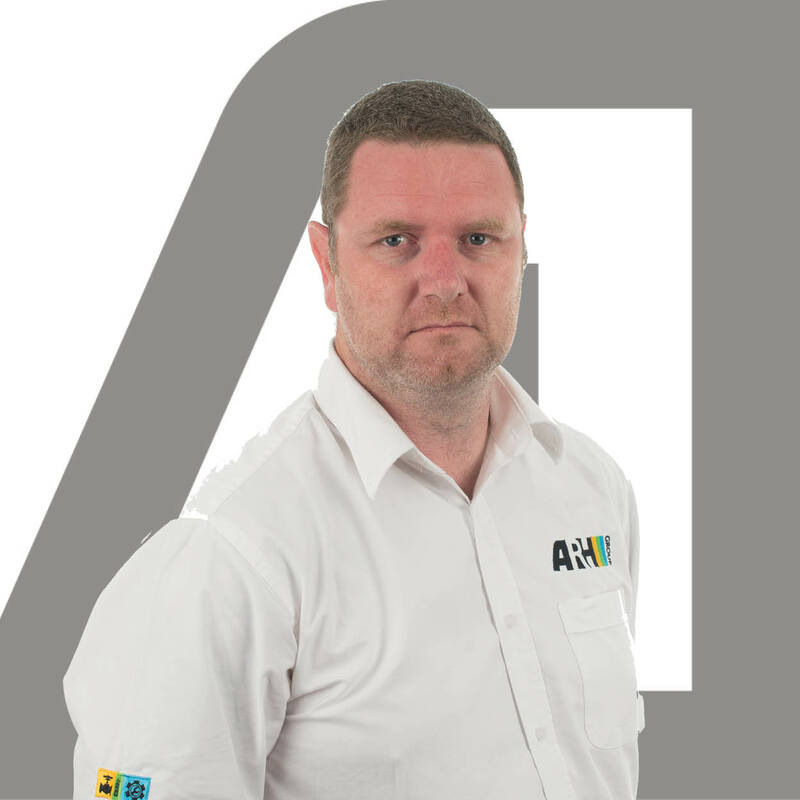 Our Operations Director, Chris has worked in the Building services industry for over 17 years. Initially completing his apprenticeship after leaving school in Building services engineering, specialising in HVAC and Refrigeration. Chris has worked through various sectors of the industry, such as Retail, Medical, Financial, Government, High Security, Agriculture, Process, Manufacturing and Catering. 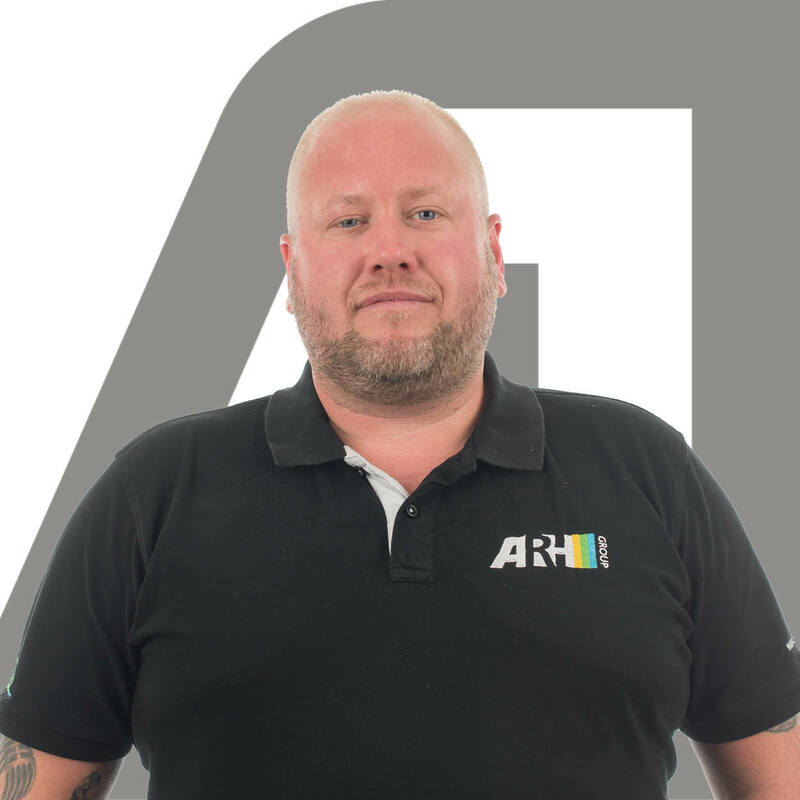 Chris joined ARH in 2013 following on from 2 years working with ARH as a specialist sub-contractor to share his wealth of experience and qualifications to develop the Mechanical services element of the business following the company move from ARH Electrical to ARH Group. The company now boasts a successful and ever-growing M&E one stop design, installation, service and maintenance in house solution to our client’s requirements. The hands-on background, ensures Chris can understand and develop processes throughout the business from an operational and technical level. 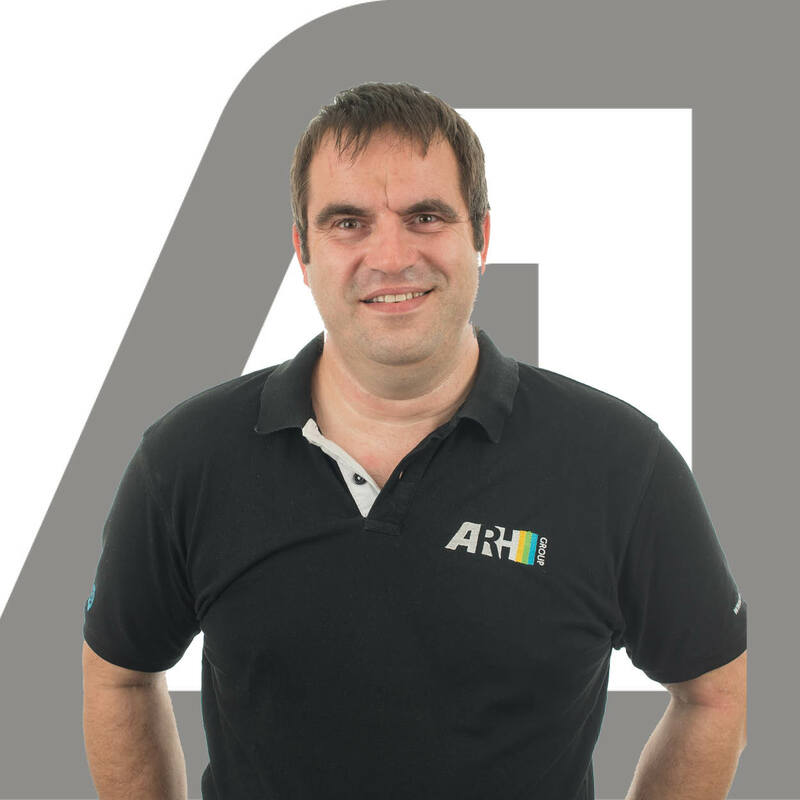 Damian joined ARH full time in 2004 and is now our Business Development Manager. His initial role was working in the Estimation Department. Keen to develop his career Damian moved into the Maintenance Department to head up new electrical testing contracts as a Key Account Manager. During this time Damian’s Project Management skills were developed as he was handling national accounts for Blue Chip clients. It also became clear that he was a natural at communication, and understanding customer requirements to ensure that our service exceeds their expectations, he has furthered these skills by completing his CMI level 5 in Management. In 2012 through growth, it was established that a new position was required within business development, this ideally suited Damian and posed him with a new challenge. Since taking this role Damian has overseen and actively progressed new client relationships. Michael began his career with ARH in 2009 and works within our Projects Department as a Project Manager, and focus’ predominately on processing engineering. He originally began his career at ARH as an estimator, moving onto Account Manager and then onto his current position within the company. He began his career as an electrical apprentice and once qualified, had his own business before coming to work for ARH. Michael is currently studying for his BA Honours in Electrical Engineering and hopes to progress onto his Masters once this is completed. John is one or our estimators at ARH and has been working within the company since 2011. Since leaving school in 1976 John has worked within the building services industry, here he joined a formal craft apprenticeship with How Group Ltd specifically within the Service Department. Within this company he gained superb all-round training, spending time in electrical installations, design department and informally, in mechanical services installations. John’s role as Estimator within ARH sees him carrying out electrical estimating and design for estimating purposes, these contracts can be up to the value of £2.5 million. Mark is one of our longest serving members of staff at ARH and has been with the company since 1998. Upon leaving school in 1989 he began his career as an electrical apprentice and once fully qualified, he worked for Barlow’s working in electrical installation and fire and security. 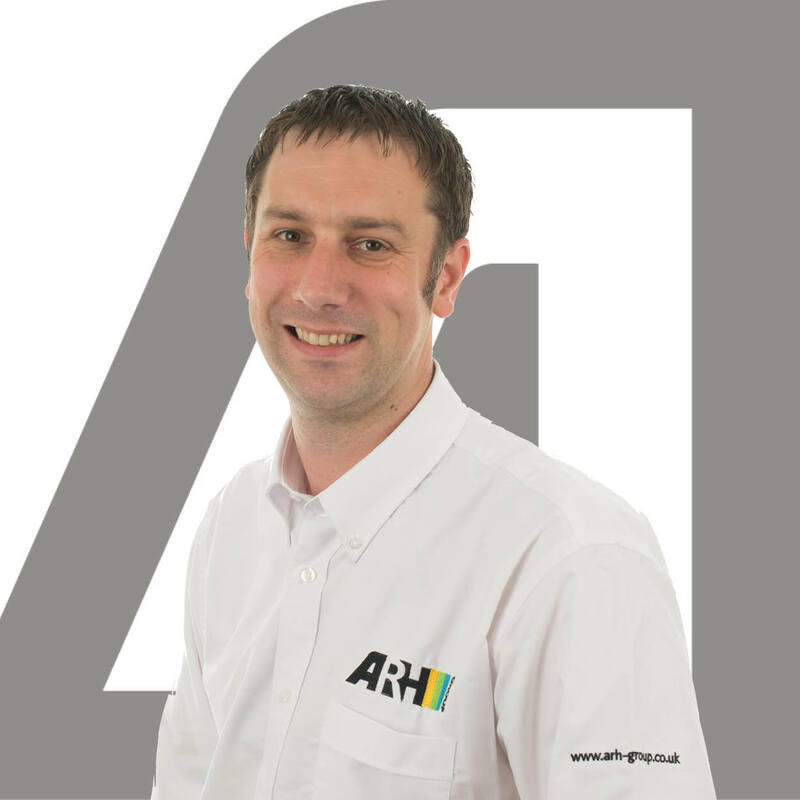 He began his career with ARH in 1998 where he carried out electrical Maintenance for Morrisons’, he then progressed to become the Maintenance Area Manager until July 2012 when he then took on the role as Project Manager. 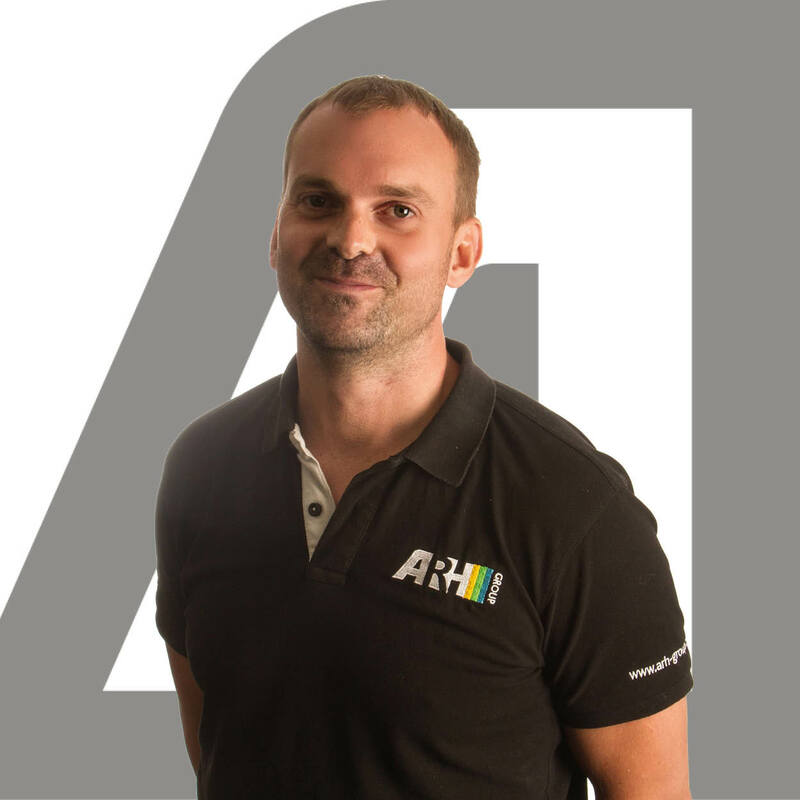 Ben started his career with ARH in 2000 as an electrical apprentice where he gained his City and Guilds level 3 in Electrical Engineering. Once qualified he went on to become a fully qualified electrician and carried out testing inspections. During this time Ben attended night school and achieved his HNC in electrical and electronics. He moved on to Site Supervisor after he achieved this qualification which then saw him move within our maintenance department as Account Manager where he was responsible for our Mitchell & Butler Account. As the business developed and our Projects Department grew this saw an opportunity arise for a Project Manager and this saw Ben reach his current position in 2014. Danny has recently moved into our Projects Department as a Project Manager from his position of Senior Account Manager. 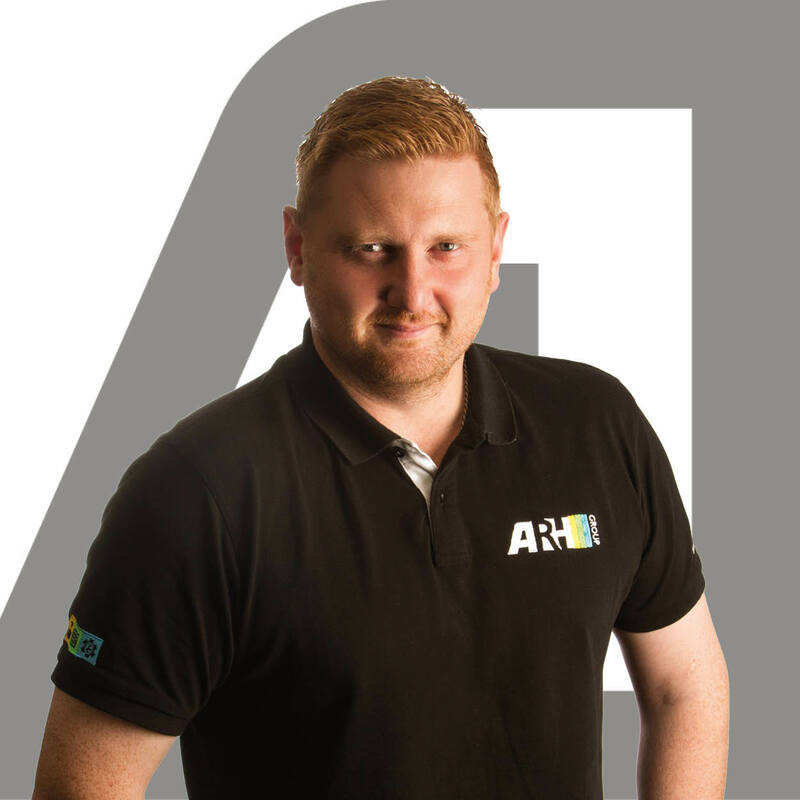 In 2012 Danny moved to ARH as a mechanical account manager, this role involved him managing a number of M&E contracts on a reactive basis, along with the management of smaller projects such as refurbishments and refits up to the value of £100,000. There are stringent compliance responsibilities and he has to ensure that all sites are safe and complaint in the event of a visit for EHO, this gives our clients piece of mind. The customer’s that Danny deals with are incredibly demanding and part of his role is to ensure that downtime and loss of revenue is kept to a minimum. Nigel is one of our estimators. He has worked for the ARH Group since 2007 within this position. Starting his career as an apprentice in 1978 he completed his full apprenticeship and achieved Approved Electrician Statues. In 1982 he went onto work for Royal Mail Engineering (later to become Romec). He worked his way through the ranks from electrician to site Foreman and then onto Site Manager, during this time he undertook an Estimator Course and moved into a Design Estimator role in 1996. In 2004 he decided to work as a self- employed electrician until an opportunity arose in 2007 within ARH Group. Andrew has been at ARH since 2006, starting off as an office junior and progressing into CAD after completing a night school City & Guilds Level 3 in Auto CAD. After 3 years working as a CAD designer he filled a vacant position within our estimating team, as he had previously worked predominately on the Morrisons account, this was a natural progression. His ambition in time is to progress within his department into Project Management. 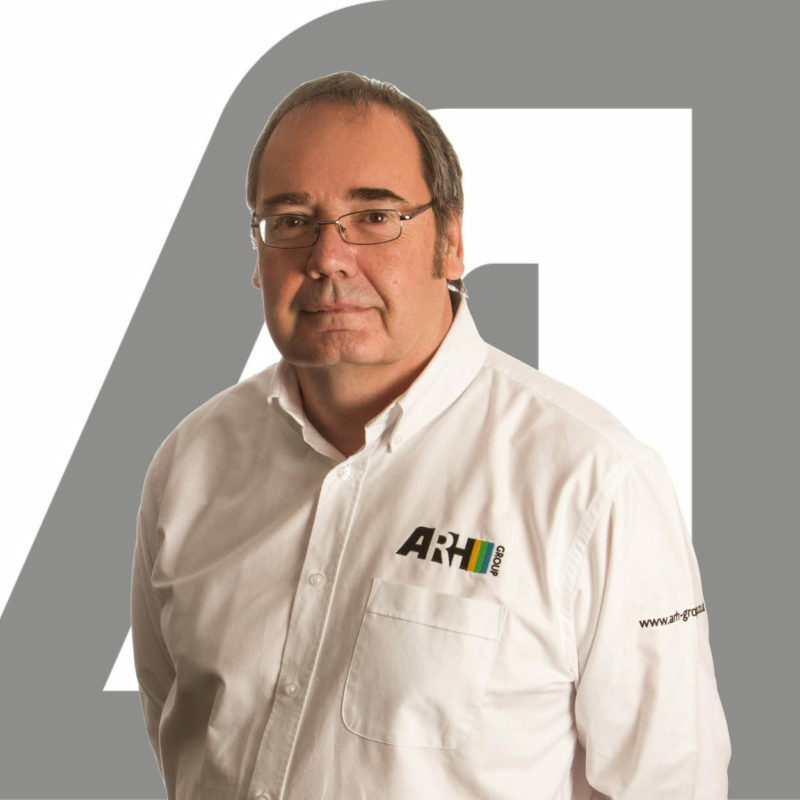 Tony has worked with ARH since 2015 as our Health, Safety and Environmental Manager. He began his career as a Quality Inspector focusing on business management systems i.e. quality, environmental and Health and Safety. He progressed from the old 5750 standards to, the up-to-date ISO 9001 standard. Along the journey he recognised the benefits of the ISO 14001 environmental and ISO 18001 OHSAS. He has furthered his skills by successfully completing the Level 5 NVQ Diploma in Occupational Heal and Safety Practice. Tony progressed his career into consultancy and worked for recognised household organisations within diverse industry sectors, where he provided support, advice and training. Through his career he has recognised the benefits of the mentioned management systems and is supporting the company in achieving these to ensure we have a robust system that provides exceptional service to our clients and a safe working environment for all ARH staff. 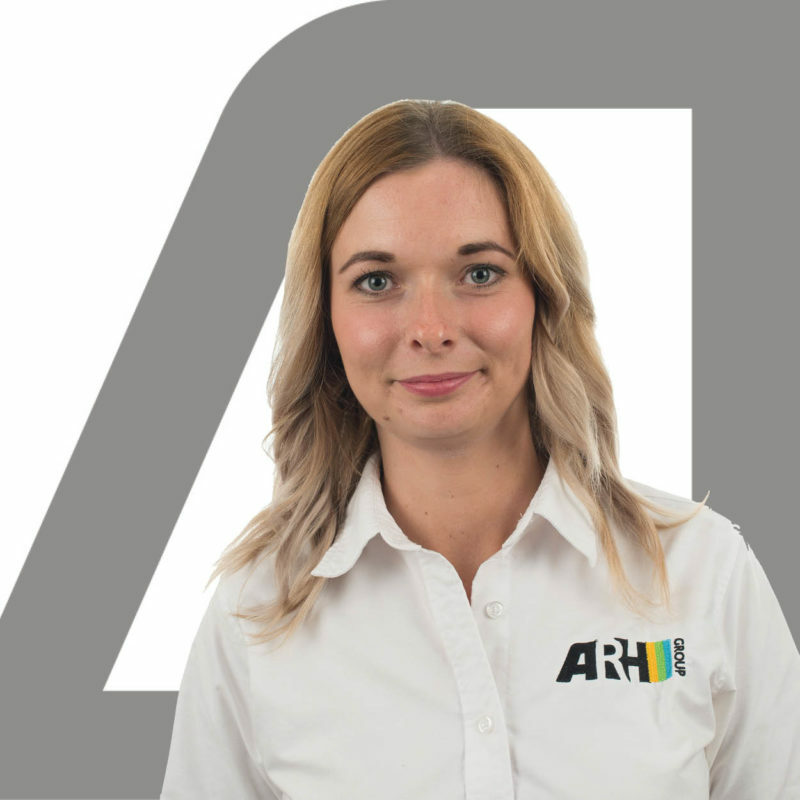 Katy has worked at ARH since 2009 and is a Regional Account Manager. She began her career with ARH as an administrator, was promoted to Team Leader and then into her current position. Katy completed her A-levels and started a family prior to joining ARH. Whilst working with ARH she has achieved her Level 5 CMI Management and Leadership course. 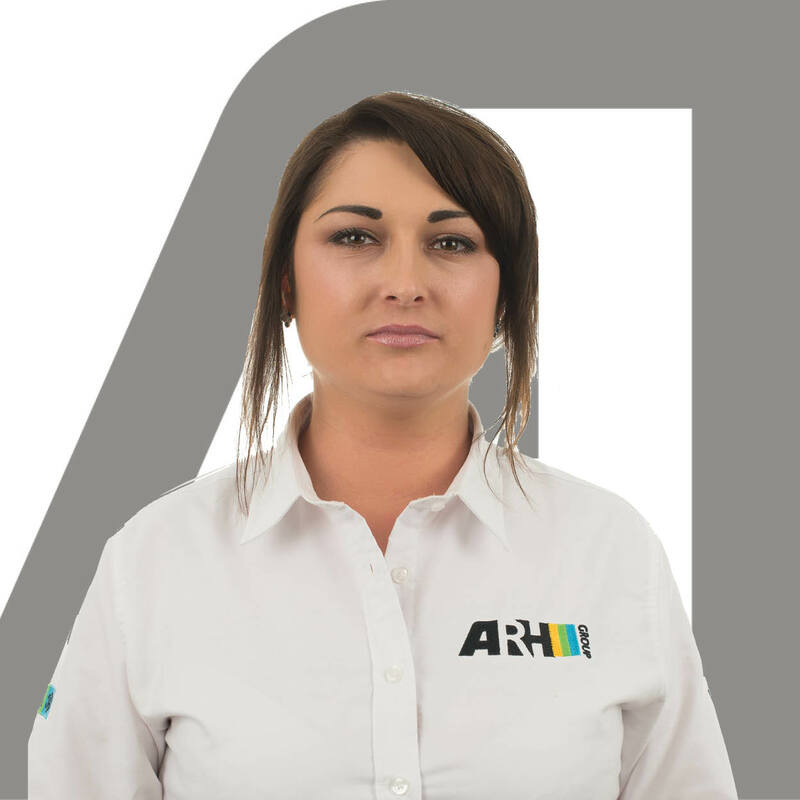 Kate has worked for ARH since 2010 and is a Regional Account Manager. She has made significant progression since she began her career as an administrator. She was promoted from this position to team leader, then to Maintenance Supervisor before her current role as Account Manager. Prior to joining ARH, Kate gained valuable experience in business administration and office management. Kate has completed her Level 5 CMI in Management and Leadership whilst working with ARH. Our HR Manager, David is tasked with overseeing recruitment, performance management, and TUPE transfers; he played a fundermental role in ARH achieving its Investors in People Bronze award. David’s career in HR has spanned from South Africa where he worked for a large manufacturing firm, moving to England in 2001 to develop himself further. 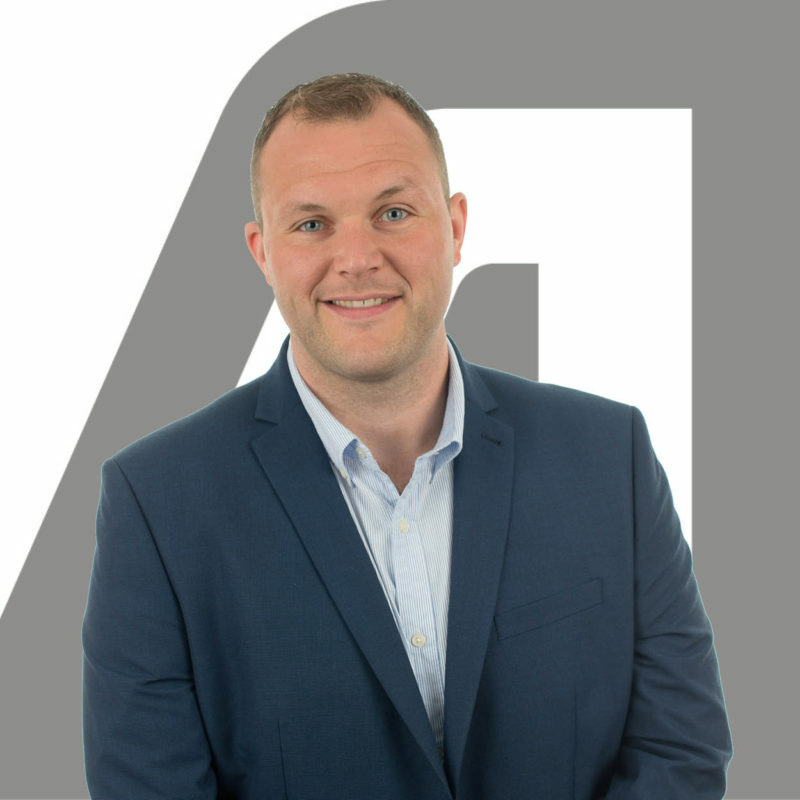 In 2006, David joined ARH Group as a resource co-ordinator and all of his hard work and determination sees him in the role that he holds today as HR Manager. David is a Chartered member of CIPD. 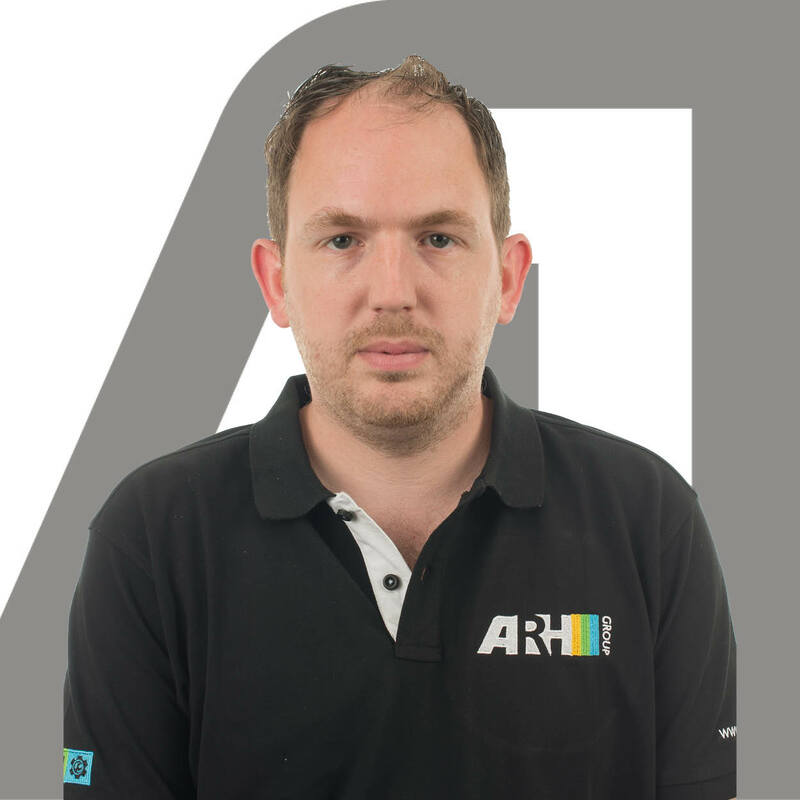 Stephen Winter joined ARH in 2014 and is an important part of our in-house CAD team, this sees him work closely alongside our Estimators and Project Managers to have time specified jobs completed within the timeframe laid out by our clients. 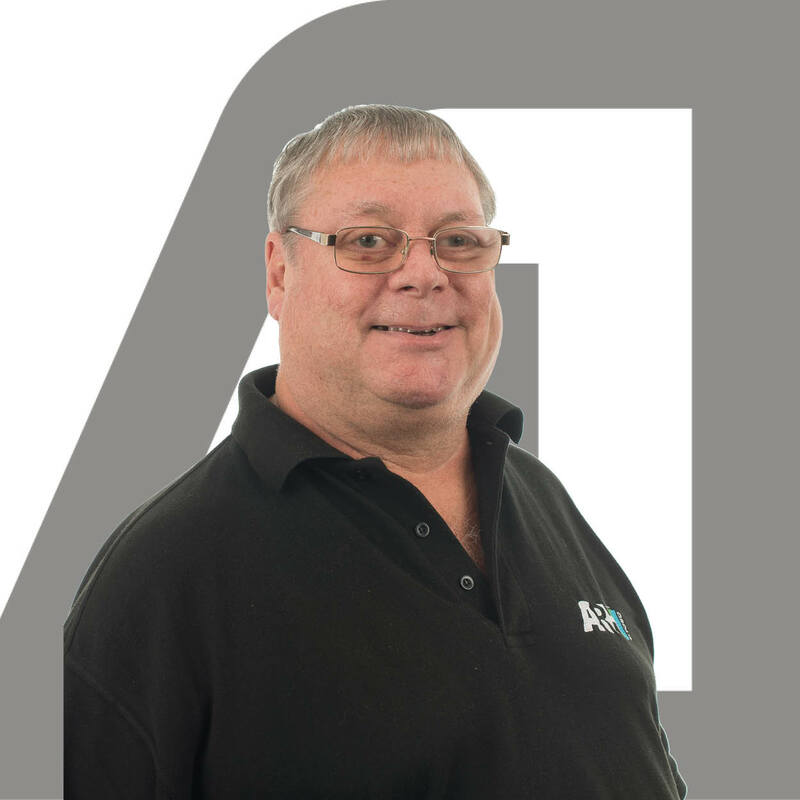 Steve is a time served toolmaker and was taught the traditional way of set square and pencil he progressed to workshop manager here but in 1993 decided to pursue a career in CAD and where he gained his qualifications. Keith is the Senior Estimator for ARH. Keith qualified as an electrician in 1985 and following this worked in a multiple of sectors, environments and has gained a wealth of knowledge and experience within the electrical industry. Previously Keith’s job roles have seen him responsible for Estimation, Project Management and Technical Design. 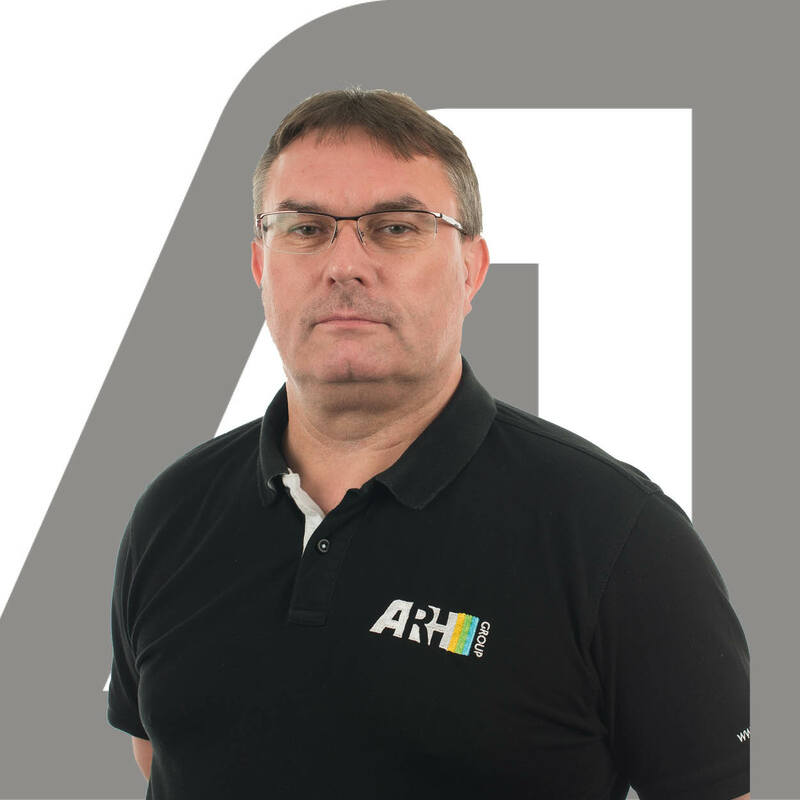 In 2003 he joined ARH as Senior Estimator, since that time Keith has focused on not only managing but developing the estimation department and within this role he oversees a team of estimators and CAD engineers. His ability to cover multiple sectors such as process, construction, retail, health care and security puts Keith in a prime position to provide advice to clients on design and cost saving initiatives. Working closely with clients to develop specifications and designs is key within his role – a testament to Keith’s abilities is the regular requests from clients for temporary secondment.